Hi! Today I've got the winners of the Create Handmade Gifts for All blog tour. 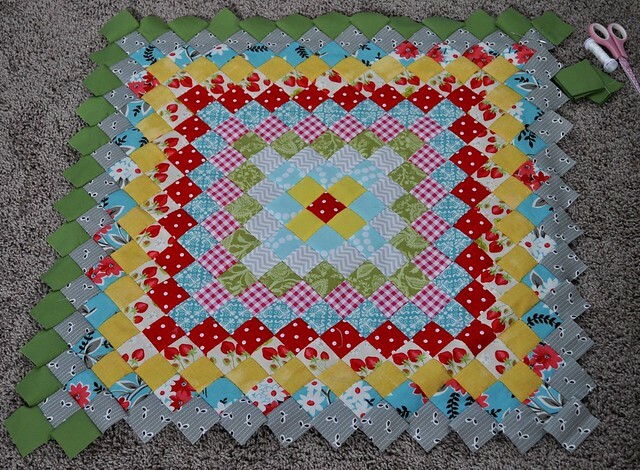 The winner of last year's Quilting Arts Gifts magazine is commenter number 34, June. 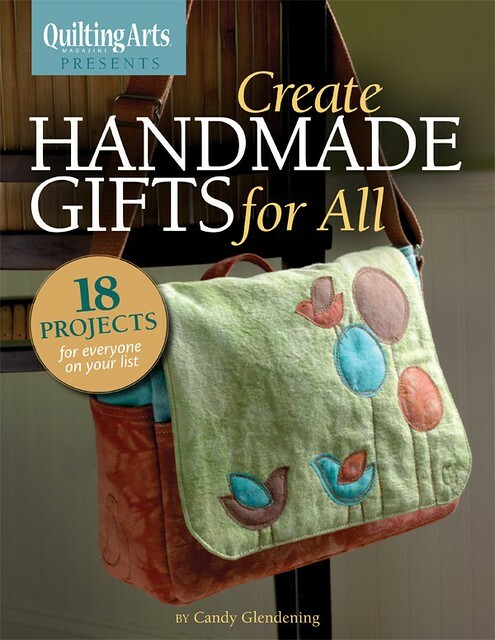 And number 30, Gina, is entered to win the Grand prize--the messenger bag pictured on the cover of Create Handmade Gifts for All. I've emailed the winners and Candy, and she will be holding the drawing for the Grand Prize soon. 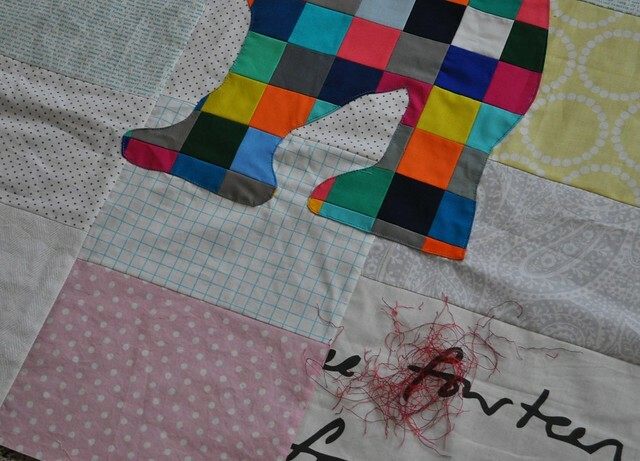 I'll be back soon to share rhino quilt progress. Have a great Thursday! Hi there! I'm super happy to share my friend Candy's new e-book, Create Handmade Gifts for All, with you all today. 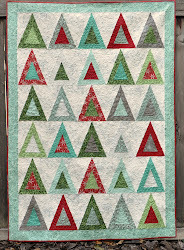 Candy blogs at Candied Fabrics, where she shares her amazing creations showcasing her beautiful hand dyed fabrics and free-motion sketch stitching and quilting. 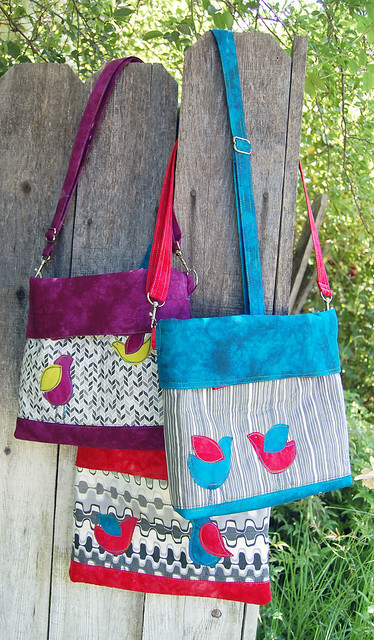 Candy also creates patterns and online dyeing courses, and keeps busy teaching university biology and selling her wares at art fairs as well. Candy is an inspiration (a hard working one!) and I really love her unique design and color sense. The bag can be used as pictured here, or the strap can be adjusted and the top flap folded up, to give you more room in the bag if you need it. And now for the giveaways! Please leave one comment per person, telling me about your favorite handmade gift to give or receive. I have comment moderation enabled so your comment won't show up until after I approve it. 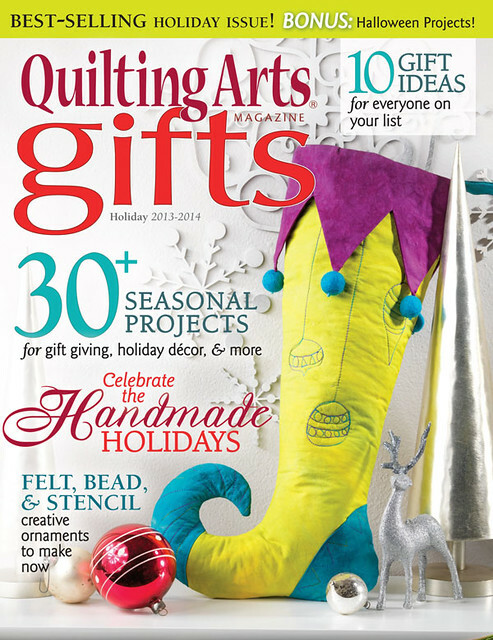 One commenter will win a copy of last year's Quilting Arts Gifts magazine. And one other commenter will be entered to win the Grand Prize, the messenger bag that is featured on the cover of the e-book. Comments will be open until 9/24 at 5:00 p.m. Pacific time, and I'll draw the winners and post them that evening. Check out all the other stops on the blog hop for more chances to win. Good luck!